Murphy Surveys is the first company in Ireland to deliver multiple survey deliverables to its clients in one combined BIM data platform. This unique and industry leading initiative changes the way BIM survey data can be captured and combined into one deliverable. There are multiple layers of information made available in one file without the need to trawl through multiple drawings, different surveys, reports and or databases. Within one delivery portal the entire site and design model can be viewed in a variety of ways. 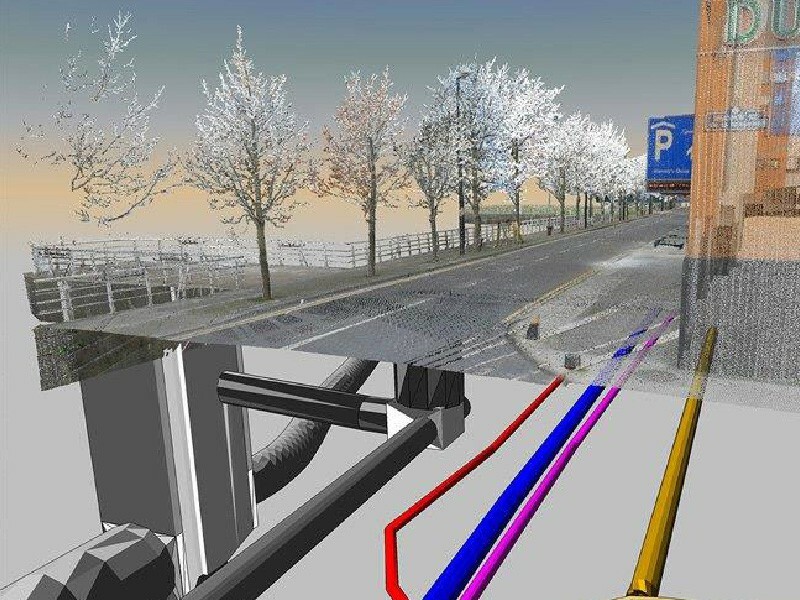 Underground, Topographical and Aerial data are combined into one BIM to provide our client with all the information required to accurately design, build and manage their project and assets. This initiative is implemented by using common hardware and software solutions for data capture and processing combined with be-spoke in house workflows to support such “big data”. Recent significant investment in its own “in house” server farms at all office locations allow Murphy Surveys to securely save large data sets. The companies customers can view all their secure data via a client portal on any web browser, downloading what they need when they need it at any time. The site is in a busy urban environment and accurately capturing all such data was going to be a challenge due to live traffic, pedestrians, adjacent buildings and current site condition. Following close consultation with its client, Murphy Surveys decided on a combined approach using ground and aerial data capture methodologies. Using Total Stations and GPS to capture key topographical elements for the ground truth survey & MBS. Utility survey teams surveyed all underground utilities that were required using ground penetration radar equipment. Using a fully redundant state of the art UAV (Unmanned Aerial Vehicle) the field team captured data and photogrammetric techniques to produce an accurate 3D point cloud of the site. This point cloud was then used to produce a 3D BIM. 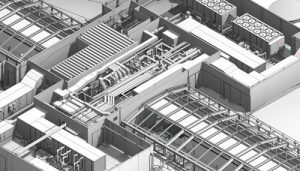 When all data was captured on site it was sent to Murphy Surveys BIM processing team who created and delivered the final BIM deliverable to the client. Before this initiative much of the survey data would be gathered separately and sometimes from multiple suppliers and in different formats. This resulted in disjointed data in multiple formats some of which was not viewable together or in digital format. Contact the Murphy Surveys team today to find out how your project can benefit from this technological integration.